Create great looking as-built documentation in HTML or Microsoft Word format within minutes. Reports can be based on your own templates including your own color schema, fonts and logos. Include additional information into the generated word reports or directly convert to PDF to provide professional looking project documentation. All reports for Cisco UC servers have a consistent format and document all settings of your Cisco Unified Communications network. 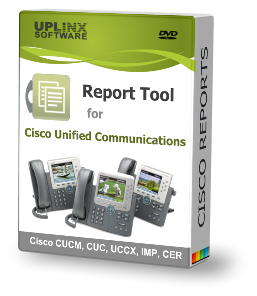 Reports include detailed descriptions for each configuration item of Cisco Unified Communications Manager CUCM, Unity Connection, and Cisco IMP/Presence, CER and any other supported Cisco Unified Communications server. Easily document any configuration setting of Cisco Unified Contact Center Express (CRS, UCCX) including the latest Finesse details and include all steps of every call center script. All Word documents are neatly and automatically formatted with minimal efforts.Generation of reports can be also deferred to a later time when back in the office to minimize time on site to only collect data with the Report Tool.